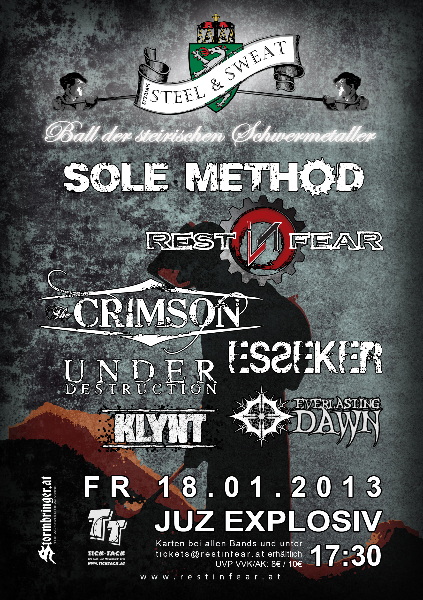 We are going to play at the “STYRIAN STEEL AND SWEAT” at Explosiv Graz on 18.01.2013! Come and listen to some of the best Metal bands from Styria: Sole Method, Rest in Fear, The Crimson, Esseker, Klynt, Everlasting Dawn and UNDER DESTRUCTION. Be there early, it starts at 17:30!